ALL COMPUTER SERVICE has been in business in South Florida since 1987. 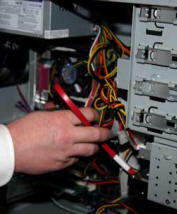 We offer Quality Computer Service and Repair for Home and Business. As well as on site and in house computer repair, network setup and design, trouble shooting, virus and spam removal, wired and wireless network setup and repair. We Service All Major Brands of desktop computers, clone computers, notebook computers and laptop computers. From power supplies to motherboards, All Computer Service can provide the Service and Parts to keep your home or office running smoothly. We service all of Palm Beach County and South into Broward Co. Most of our services can be performed the same day.